As the need for MRIs on patients with implanted devices grows, so does the ability to do so safely. MRI has become the gold standard for soft tissue imaging in a wide range of conditions, including musculoskeletal and neurologic disorders and cancer. About 10% of the US population today undergoes an MRI in any given calendar year, says Tobias Gilk, MRSO, senior vice president with RADIOLOGY-Planning and founder of Gilk Radiology Consultants in Overland Park, Kansas. Says Gilk: "That's about 33 million MRI exams in any given year in the US." At the same time, the number of patients with pacemakers and other implanted cardiac devices is steadily rising, and those who have implanted devices are aging. About 600,000 people get pacemakers implanted each year, according to the American Heart Association (AHA). Estimates are that somewhere between 50% and 75% of people with implanted cardiac devices, the majority of them pacemakers, will need an MRI at some point in their lives, according to medical device manufacturer Medtronic, which has its United States headquarters in Minneapolis, Minnesota. The rise in the use of MRI and in the number of people with implanted devices adds some urgency to the question: Can people with pacemakers and other implanted devices safely undergo an MR scan? When pacemakers were first implanted in the 1960s, the answer was likely no. Heart rhythm specialist Julia Indik, MD, PhD, a professor of medicine at the University of Arizona College of Medicine, says the concern was—and still is—that the patient's pacemaker could mistake signals from the MRI's time-varying magnetic fields for cardiac signals. The mixed signals could throw off the patient's pacing, and dangerously so, especially if the patient is continuously reliant on a device to provide or control his or her heart rhythm. Historically, Gilk says, the pacemaker is the device most frequently associated with patient deaths in an MR machine. However, as pacemaker technology has evolved over the decades, so has the thinking about the safety of pacemakers in MR. "It's no longer the extreme danger it once was," Gilk says. Starting around 2000, manufacturers began to develop pacemakers and implantable defibrillators that have since been tested and proven to be safe in MR machines. The FDA labels these devices "MR-conditional," meaning they are safe when proper protocols are followed. The devices can be programmed so that the pacemaker works as needed, regardless of the signals it picks up from the magnet. If the patient is not pacemaker dependent, it may be possible to turn the pacemaker off or, if the patient is reliant on pacing, it can be switched to an asynchronous mode that provides metronomelike, fixed, regular pacing. Medtronic was the first to bring an MR-conditional pacemaker to the US market in 2011. Medtronic also was the first to receive FDA approval for an MR-conditional implantable defibrillator in 2015. A number of additional MR-conditional devices have since gone through the FDA process and similar organizations in Europe, says Jerry Froelich, MD, a professor of medicine in radiology and cardiology at the University of Minnesota and chair of the ACR's Committee on MR Safety. "These pacemakers are compatible, as long as the scan is performed by the guidelines set forth by the manufacturer and approved by the FDA," Froelich says. Some imaging centers, mostly at large hospitals and academic institutions, have also developed protocols that allow patients with older or conventional (nonconditional) implanted devices to undergo MRI scans safely. "If you need an MR and have a noncompatible device, my recommendation is to go to a center that has a clinical protocol in place to handle pacemakers that are non-FDA approved for MRI," Froelich says. "Many freestanding centers will say no to doing an MR on patients with nonconditional pacemakers, but there are probably several hundred institutions across the country that have Institutional Review Board or internal supervising protocols that allow people with conventional pacemakers to have MRIs when they need them." In those cases, Froelich says, treating physicians have determined that MR is the best test for the situation—no other imaging modality such as CT will do—and the benefits of undergoing the scan outweigh the risks. Even if the institution is willing to perform the scan, however, there is a caveat, and it could be a huge one: Medicare does not reimburse for MR scans for patients with nonconditional pacemakers or other devices. Froelich says his institution and Mayo Clinic will perform MR on those Medicare patients at no charge. "Not every facility is going to do that," Froelich says. Medicare may pay if the patient's MRIs are part of a trial, adds David Steinhaus, MD, vice president and general manager of heart failure and medical director for cardiac rhythm and heart failure management at Medtronic. However, Gilk says he believes imaging facilities are "extremely reluctant" to provide MR services for Medicare patients with nonconditional pacemakers, in part, because Medicare won't reimburse. Most private payers will reimburse for MR scans deemed necessary for patients with pacemakers that are not MR-conditional, Froelich notes. The number of patients with MR-conditional pacemakers and defibrillators is growing. Physicians are choosing to implant MR-conditional pacemakers and defibrillators upwards of three-quarters of the time for patients receiving their first Medtronic device, Steinhaus says. "We have more than 600,000 device implants that are MRI-conditional," Steinhaus says. "It's a growing number, but it is still a minority," Gilk says. Froelich estimates that around 10% of people with pacemakers have newer MR-conditional devices. It's a relatively small number, he says, because "it's just too new." Also, MR-conditional pacemakers cost more than conventional devices. Hospitals that get reimbursed on a fixed schedule may be reluctant to use the more expensive MR-conditional devices, Gilk says. The higher cost of newer MR-conditional cardiac devices reflects the enormous efforts to research, develop, test, and validate them," says Wolf Ruhnke, vice president of corporate product management for Biotronik, based in Berlin, Germany. "Our pricing is based on various features and that is one of the different features we price on," Ruhnke says. According to data presented at Heart Rhythm 2014, approximately 20% of patients with MR-conditional pacemakers received an MRI scan within the first two years after their device was implanted. Because so many patients have legacy devices and "the population is aging," there is a need to discern whether the conventional devices can be safely imaged via MRI, says Wendy J. Stirnkorb, CRA, RT(R)(MR), assistant director of imaging at Sibley Memorial Hospital, Johns Hopkins Medicine and president of her own imaging consultancy, Stirnkorb Consulting, LLC. "The answer can mean better, timelier patient care," she says. To that end, several organizations are conducting a study of pacemaker patients who have a clinical need for MRI but who do not have MR-conditional devices implanted. The primary investigating researchers on several of the different studies are hoping to develop a registry that will answer some of the MRI safety questions that have arisen. "We are just in the beginning stages of understanding the impact these research studies may have on the care and treatment of this patient population," Stirnkorb says. There is already a significant body of evidence on the use of MRI in patients with nonconditional devices, Indik says. The MagnaSafe Registry is the largest to date. "It is a very large prospective multicenter registry that studied about 1,500 cases at 1.5 T," Indik says. "It is not yet published but was presented in abstract form at the American Heart Association [meeting] in 2013." Preliminary results reported no deaths, device failures, or other adverse effects, such as ventricular arrhythmias, for the first 1,189 cases enrolled in the registry. Meanwhile, the Heart Rhythm Society is developing a consensus statement on imaging safety with implantable cardiac devices in collaboration with 11 other societies worldwide: the American College of Cardiology, the ACR, the AHA, the American Society for Radiation Oncology, the Asia Pacific Heart Rhythm Society, the Council of Affiliated Regional Radiation Oncology Societies, the European Heart Rhythm Association, the Japanese Heart Rhythm Society, the Pediatric and Congenital Electrophysiology Society, Sociedade Brasileira de Arritmias Cardíacas, and Sociedad Latinoamericana de Estimulación Cardíaca y Electrofísiología. "Our timeline is to have a document by the end of this year and publish it in 2017," says Indik, who is the chair of the group. The thrust of the document is MRI for patients with implanted cardiac devices, "but we also are looking at CT scanning and radiation therapy, especially for cancer patients undergoing radiation therapy. We are looking at the evidence of the management of those patients," she says. Reviewing the evidence so far, Indik says, it appears that the main recommendation will be that it is reasonable for a patient to have an MRI with a nonconditional device, as long as all precautions are taken and the MRI is the best test for the condition. Indik has no idea whether the document will persuade the Centers for Medicare & Medicaid Services (CMS) that Medicare should cover MRI for people with nonconditional devices. "Our document is not at all trying to do that," she says. "That's a separate issue. We're totally focused on the review of the evidence and what we feel is clinically safe and unsafe. How the FDA and CMS will look at our document, we don't know." If patients have retained leads from a previously removed pacemaker, MRI exams may still present safety concerns. One tip of each lead, which may be left when the pacemakers are removed, is embedded in the heart muscle, Gilk says. Taking the tips out could be dangerous, but retained or abandoned leads can remain risks for MRI-induced cardiac stimulation and radiofrequency heating, meaning it's not just the pulse generator that may present risks to cardiac device patients, he says. Meanwhile, manufacturers continue to improve the MR-conditional devices that they are bringing to market. Manufacturers including Medtronic and Biotronik have introduced MR-conditional devices that can be safely programmed by cardiologists before the patient goes into the MR machine so the cardiologists don't have to be present for the scan. Medtronic's device can be put in an MR mode right before the scan and reprogrammed to its proper settings soon after, Steinhaus says. That way, the patient's device is in MR mode for the shortest time, while not delaying the procedure or requiring more staffing during the scan, he says. With Biotronik's latest device, MRI AutoDetect, the patient can see his or her cardiologist up to two weeks before the scan to have it programmed. "Everything is taken care of by the device itself because it has a sensor incorporated," Ruhnke says. "The device switches into MRI mode as soon as it recognizes an MR environment. Once the patient leaves the MR machine, the device is automatically reprogrammed to full therapy mode." The time the patient is in the MR-safe mode is the shortest possible today, he notes. MRI AutoDetect also optimizes workflow for the radiologist, technologist, cardiologist, and nursing staff, and adds comfort for the patient. "Most of the time, the patient is covered with his or her device programmed with the standard program tailored to them specifically," Ruhnke says. The device is available in Europe and elsewhere but is still in the approval process in the United States. "We hope to have it available soon," he says. When the FDA first approved MR-conditional pacemakers, the agency was fairly nervous, Gilk says. "[The FDA] only labeled pacemakers for scanning areas that did not immediately include the heart. [The FDA] approved MR scans of the head [or the] pelvis areas and below. Scanning the central thoracic region was not permitted." Since the manufacturers have provided more safety data, the FDA has lifted the ban on cardiac thoracic scans of patients with many MR-conditional pacemakers. "They're now approved for head-to-toe use," Gilk says. The FDA requires that both the leads and the generator be MR-conditional. Some cardiologists prefer to mix and match leads and generators, which can negate the MR-conditional system labeling if all of the components haven't been tested together as a single system, Gilk says. Patients who had MR-conditional pulse generators implanted could be frustrated to learn that their leads are not MR-conditional, making the whole system non-MR-conditional, he says. Gilk is convinced that, over time, pacemaker improvements and greater research will demonstrate that many people with nonconditional devices can be scanned safely, as long as the proper protocols are followed strictly. However, he says, "it's going to take a long time to change [the bias from] 30 years of hearing warnings that it isn't safe, and the growth of MR-conditional devices in the market may wind up making the safety of conventional pacemakers moot." The likelihood of a patient needing MRI rises as the patient ages and life expectancy increases, Stirnkorb says. "If we are able to safely image patients once determined to be 'unsafe' due to pacemakers or defibrillators, we could positively change the care continuum for those patients." 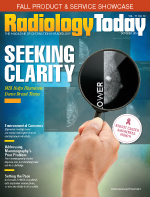 If the implanted device studies demonstrate the opportunity to scan patients with specific devices, and the devices are labeled as such in a clear, concise way, the MR imaging community, with radiologist support, can provide this service to a much broader patient population, Stirnkorb says. "This [would be] a positive position for the medical community but, most importantly, a winning situation for the patient," she says. — Beth W. Orenstein of Northampton, Pennsylvania, is a freelance medical writer and regular contributor to Radiology Today. She has a pacemaker.